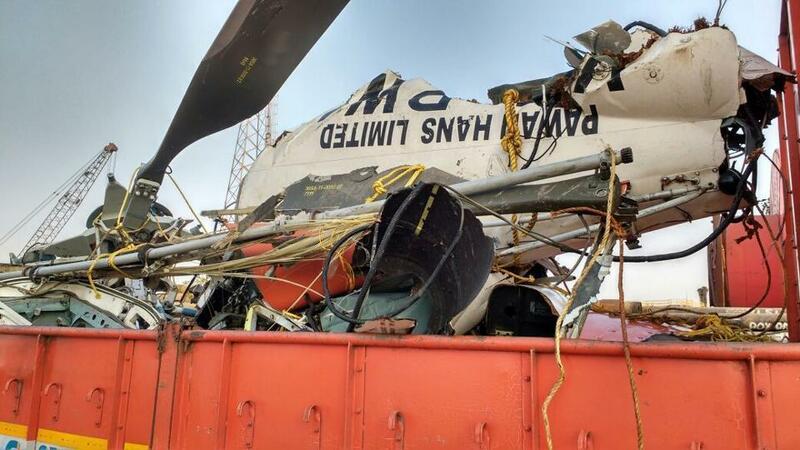 On January 13, five senior ONGC officials and two senior pilots of Pawan Hans chopper were killed after their Eurocopter AS365N3 Dauphin 2, VT-PWA, crashed off Mumbai coastline. More than a month after a Pawan Hans chopper ferrying senior Oil and Natural Gas Corporation (ONGC) officials crashed off the Mumbai coastline killing five of its officials, ONCG has asked its operators to submit a monthly report card entailing details of services undertaken in the said month. The report must give a summary of flights and whether they complied with flight safety rules and guidelines, sources said. In a letter marked to its chopper operators — Global Vectra, Pawan Hans and HeliGo — that provide aircraft to the oil firm, ONGC has sought details of Flight Operations Quality Assurance (FOQA) which analyses if the pilots followed the required parameters during a flight. FOQA also scans data obtained from Flight Data Recorder (FDR) and Cockpit Voice Recorder (CVR) to understand if a flight had complied with safety norms. “We are taking every step possible to ensure the three operators adhere to safety norms. The FOQA report, submitted each month, could help us keep a check on safety parameters of choppers pressed into service by the operators. It will be a monthly report card to understand how many parameters the operators have complied with and if there is any room for improvement,” a senior ONGC official said, speaking on the condition of anonymity. On January 13, five senior ONGC officials and two senior pilots of Pawan Hans chopper were killed after their chopper crashed off Mumbai coastline. Soon after, the Corporation decided to conduct a procedural audit by a renowned aviation agency Rotary Wing Aircraft Intercept (RWAI) of each of its aircraft equipment used in offshore operations. Collecting FOQA details from its chopper operators was one of the key recommendations of the auditor. Senior ONGC officials said they have asked its operators to follow this procedure with rigor. “One of our operators said they do not have the required financial aid to conduct daily analysis. We have assured them of the required help, provided this audit is conducted diligently,” the official added. Post the tragedy, senior ONGC officials have also sought pre-maintenance and post-maintenance details of choppers in use. “We are analysing health of the aircraft. A senior safety officer from our team inspects the required choppers to be used in the day. A post-flight check is also conducted regularly by ONGC. We are making our safety rules stringent to ensure safety of officials flying offshore,” the ONGC official said.